Craft die from Impression Obsession featuring a sentiment from the American national anthem: "land of the free, home of the brave". This is a set of 4 dies. The smaller words measure 1 x 1-3/8 inches, the word Brave measures 1-1/4 x 3-1/2 inches, and the word Free measures 1-1/4 x 2-1/2. 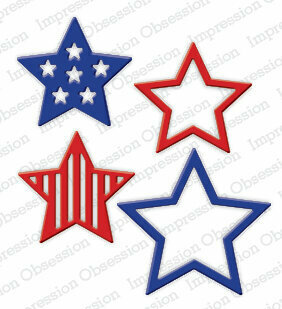 Craft die from Impression Obsession featuring 4 stars patterned after the American flag. Perfect for Fourth of July celebrations! This is a set of 4 dies measuring 1-1/2 x 1-1/2 and 2 x 2 inches. 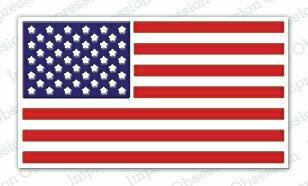 Craft die from Impression Obsession featuring an American flag. This is a single die measuring 2 x 3-3/4 inches. A majestic eagle is perfect for showing your patriotic spirit. Design area measures approximately 4-3/4" X 3-5/8". New York themed scrapbooking stickers featuring the Statue of Liberty, Broadway, the New York Subway, and "I Love New York". These 3-D stickers are beautiful on cards, scrapbook pages, album covers, boxes, and more! 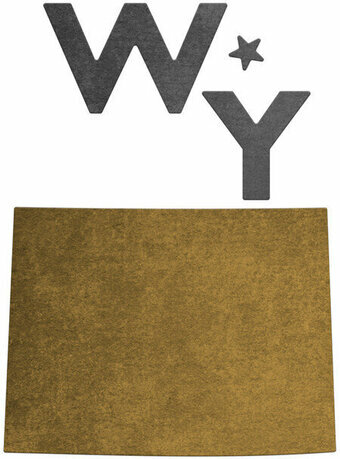 These stickers provide added dimension to any project. This package contains one 7x4-1/2 inch sheet of stickers. Our reverse cut fireworks die works perfectly with our Cityscape die (FRA9886). The die measures 2.75" x 3.6". TIP: when cutting this die, you may get an unsightly rectangular embossing due to the shape of the die. If this happens, run your paper through your die cutting machine WITHOUT the die once more and it will flatten out the edge embossed marks. I love this tip! Frantic Stamper Precision Dies are made in the USA and will work with most leading table-top consumer die cutting machines.